Json Array Element : It contains field name and array of JSON elements. 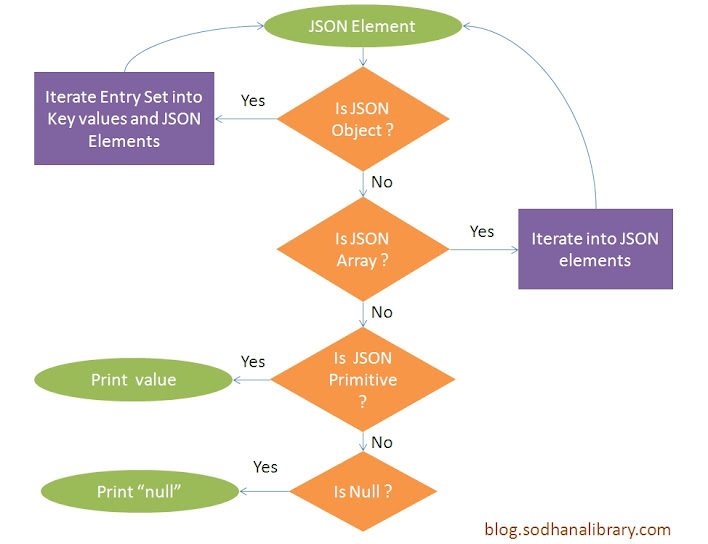 Program flow for JSON reading is shown in the below diagram. If element is JSON Object then iterate it into field names and JSON elements and process those JSON elements. If element is JSON Array then iterate it into JSON elements and process those JSON elements. In the below example there are 4 JSON input strings, First 3 are normal JSON String, Fourth-one is Array.